A small map that I spent maybe about a week on, because it was supposed to be part of a larger map, but it was complete enough as it stood. Will be featured in the future as part of the other map I have lined up. Sidenote: This is my first attempt at an artdeco style map, and I think it turned out beautifully. Review by Mudderducker on 9/7/2014. 1. All the bonuses inside a super bonus are the same sort of colours, not to good. But an improvement from your others. 2. There's a lot of small territories but then there's some massive ones. What's going on here? I personally prefer territories of similar size. 1. The colours are similar, but different, because I wanted people to be able to see which county the bonus belonged to with only a glance. I tried to make them different enough though so you wouldn't need to click on them to find out which is which. 2. The different territory sizes are due to me trying to imitate the different influential sizes of the different territories (baronies/towns/whatever you want to call them), as some are more proseperous and wealthy than others. But this is only to try and imitate some form of reality in fantasy. Review by Pulsey on 9/8/2014. Not bad. A bit like the battle islands series map. Some of the islands here are chaotic. One of the connecting ones - 'Fenwell duchy' consists of many small individual islands but actually only 4 territories and thus makes it confusing initially. The two islands at the very southern tip (Ozidroihull Duchy' are also too closely connected together and makes it confusing as well. 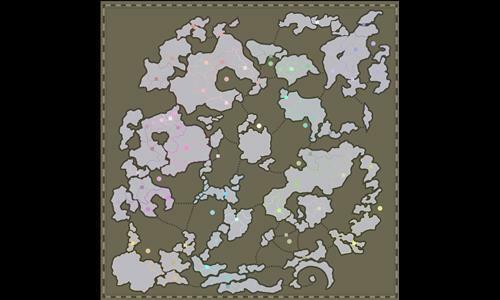 On a map like this where gameplay is about islands hopping, clear connections are quite important. Thank you for the positive feedback! I will try to fix the things you mentioned later, when I get on a computer. Fantastic, brutal map. Gameplay is varied and can get quite bloody. I like the marginal islands you have spaced around the central Empire. Glad you liked it! Will fix those territory connections when I get on a computer. Review by NinjaNic on 9/10/2014. It looks real good! The one thing that I thought should change is the water connection color. If you made the dotted lines just a little bit darker, then it would be easier to see the closer connections. Otherwise, nice work! The reason the dots are the same colour as the thicker borders is because the thicker borders are actually connections too where they overlap. So using this I'm trying to avoid confusion about what connects to what. Review by MaikMcJuggle on 9/22/2014. I just played it once but i had the impression that the map is well balanced, so that the outcome of a game will not necessarily depend on your starting position. Some very nice tactical elements and a very good visual quality! It was fun! 5 Stars!